Ever visited a website on your phone or iPad and had to “pinch to zoom” in to be able to read the incredibly small text? Is your site suffering from this too? When we build websites, we take into consideration your target audience. Statistics show that when you’re selling your services or products Business to Consumer, your target audience will be using a mobile phone or a tablet to view your website. Even with Business to Business, you often find that your site will be seen when your potential clients are travelling, or between meetings, or even in a meeting – and over 50% of the time it will be on a mobile device. Now more than ever it is important for your site to be seen perfectly on ALL types of device, no matter the size or shape of the screen, nor whether it is being looked at in landscape or portrait. If your direct competition don’t have responsive websites, then you can gain an immediate edge over them, winning business where they are struggling. 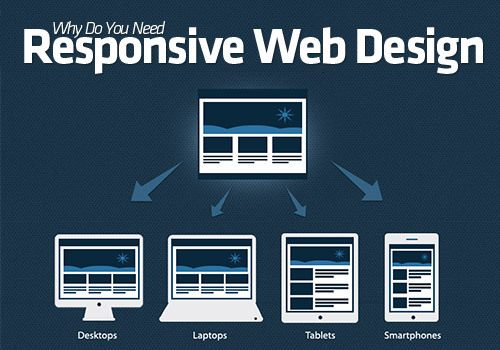 If they do have responsive sites, then don’t get left behind! Get in touch with us right now to see how you can get back to winning business in your arena.